attractive foliage - thrive on neglect. This is a simple site - we are growers of cyclamen, and we sell them by Mail Order - throughout the UK only. All our cyclamen are grown here at the nursery. They are not "forced" for a quick turn-over but are grown slowly to produce firm corms (not full of water). This way they transplant without suffering. Our corms are often twice as old as others offered, and will have flowered at least one year here at Willows. They can live for over 100 years so a good start is essential. We send out orders bare-rooted and by First Class Post normally within 2 working days. Please be ready for them. Please visit our other sites. 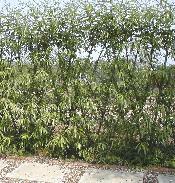 Willow whips & cuttings for living structures, weaving and windbreaks. naturalising into drifts readily. 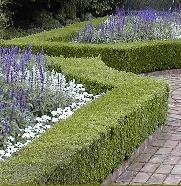 It has been a popular garden plant in the UK since the sixteenth century. The pink or white flowers (approx. 6 inches high) come in late summer giving colour until autumn. The variegated ivy-shaped grey-green marbled leaves then follow providing ground cover through the winter until late spring. 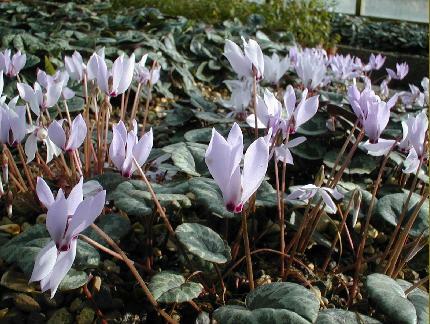 IMPORTANT We now have a NEW Hardy Cyclamen web site but have left this site for general (comprehensive) information. Please feel free to browse this site but bear in mind that it is now NOT maintained, nor updated. 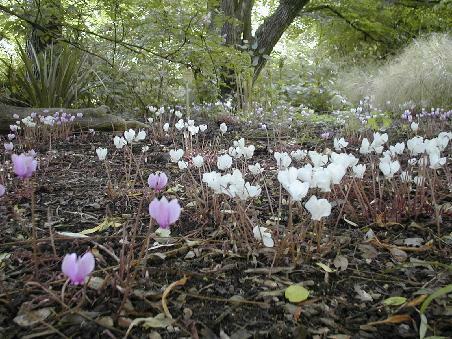 Our new site offers only Cyclamen Hederifolium at present due to very heavy demand generally over the last few years. Other varieties will be added as they become available.